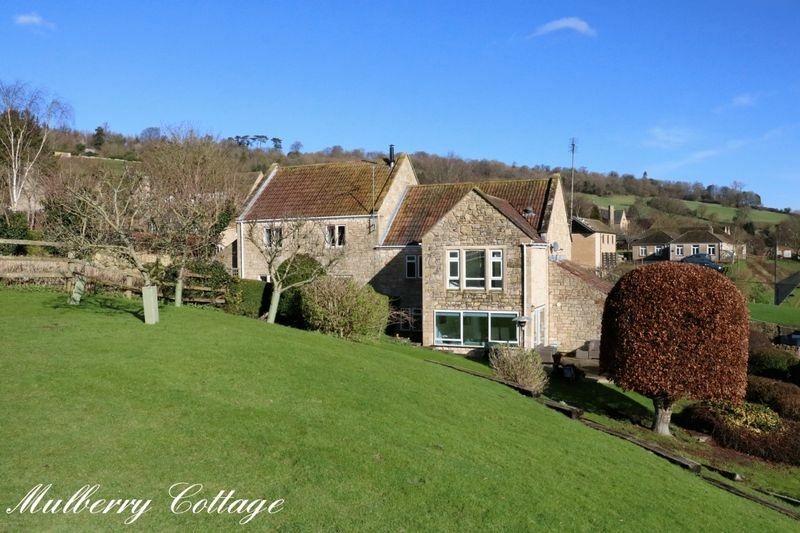 A simply stunning and spacious four bedroom semi-detached property in a rural location with glorious valley views. 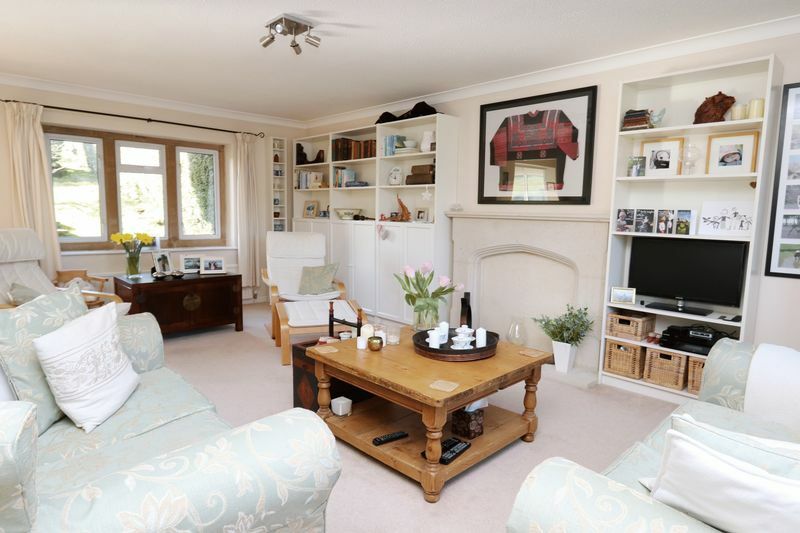 The house is set in an elevated position with delightful gardens extending to almost ½ acre. 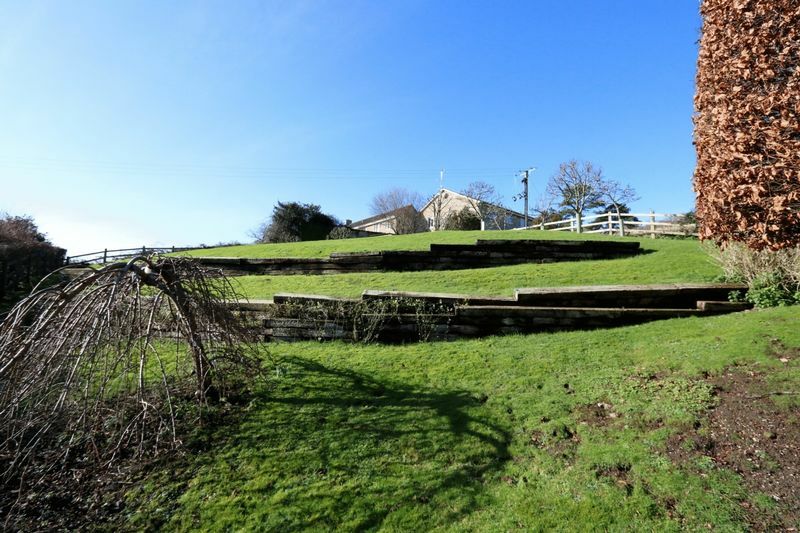 Ideal countryside retreat with the convenience of Bath city centre being under 3 miles away. 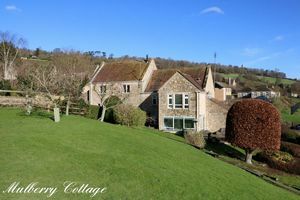 If you are looking for a spacious countryside family home in a delightful village and with panoramic views then look no further. 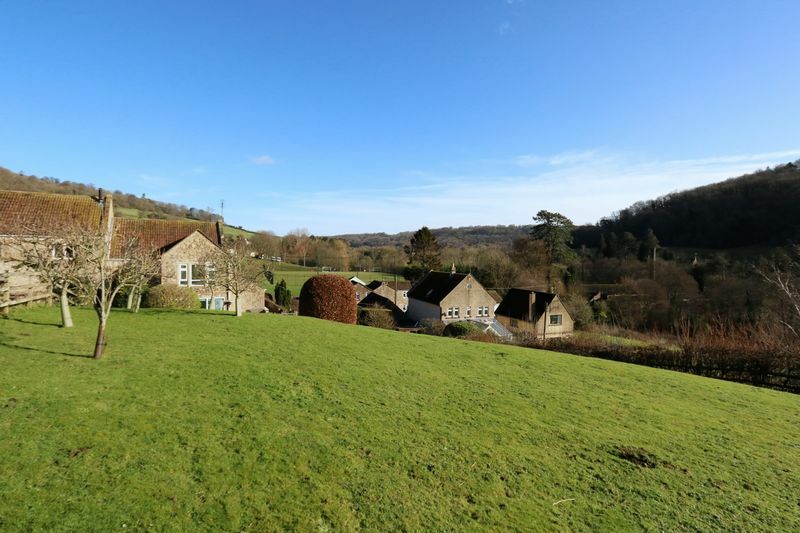 Mulberry Cottage sits in an elevated position with grounds extending to almost ½ acre providing simply stunning views of the Monkton Combe valley. 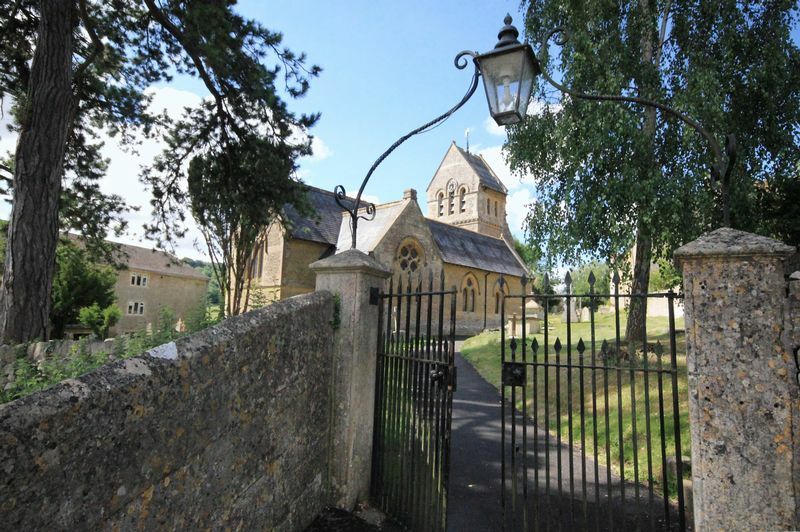 The property is approached through wrought iron gate and stone wall surrounding the front garden. 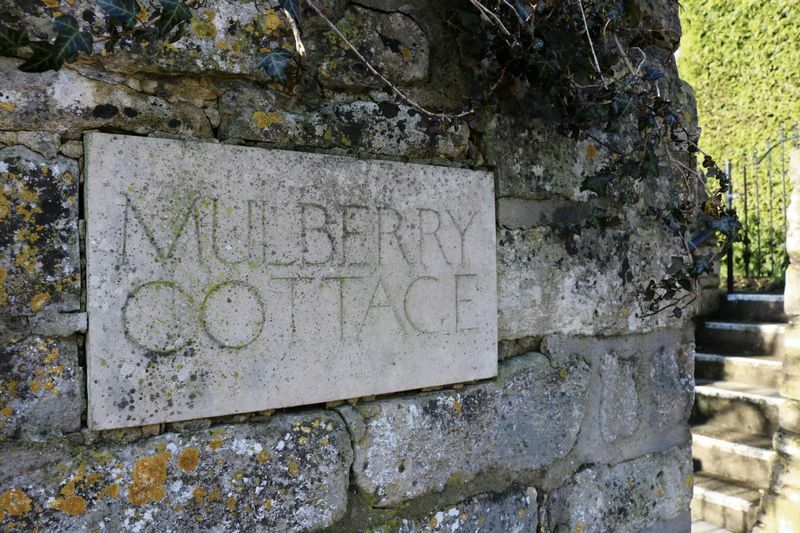 The garden is laid to lawn and you pass delightful apple and mulberry trees via a concrete path to the entrance. Once inside you are greeted by a spacious hallway with stairs to the first floor and access to the lounge, open-plan kitchen diner and cloakroom. 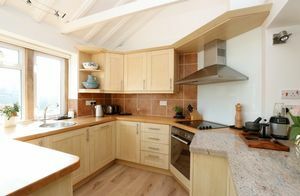 The kitchen dining area has recently been opened up by the current owners and now provides a magnificent family hub to the house with access to the sun room sitting area too. 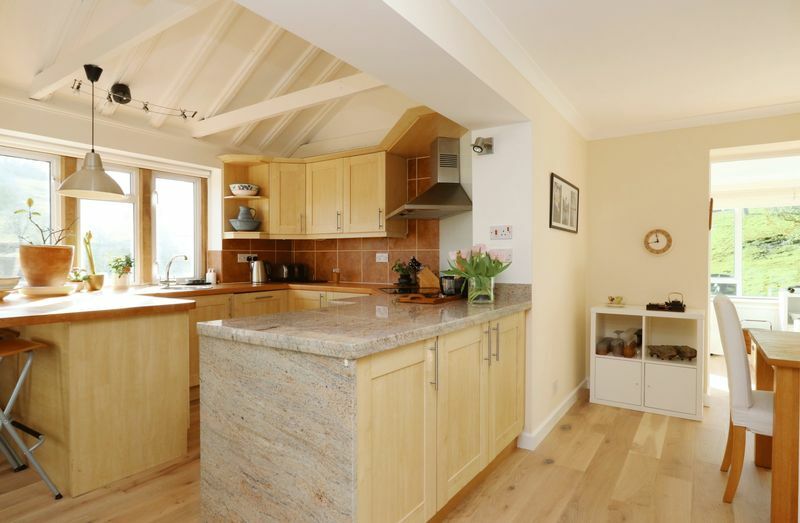 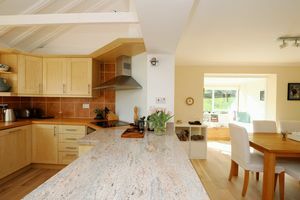 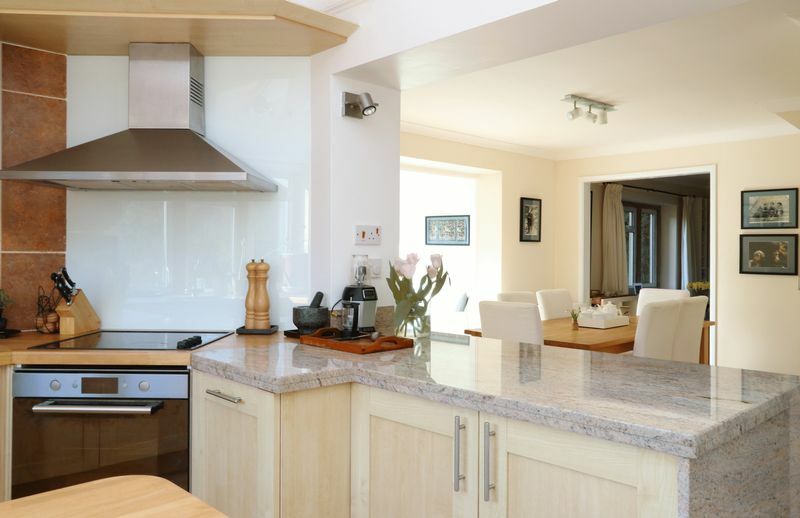 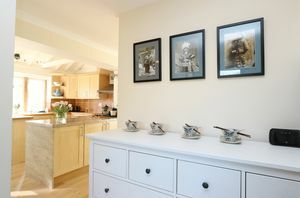 The kitchen units are faced in birch and are topped with solid beech and granite work surfaces. A breakfast bar provides lovely views through a window to the side aspect and the kitchen is given a sense of space with a vaulted ceiling. 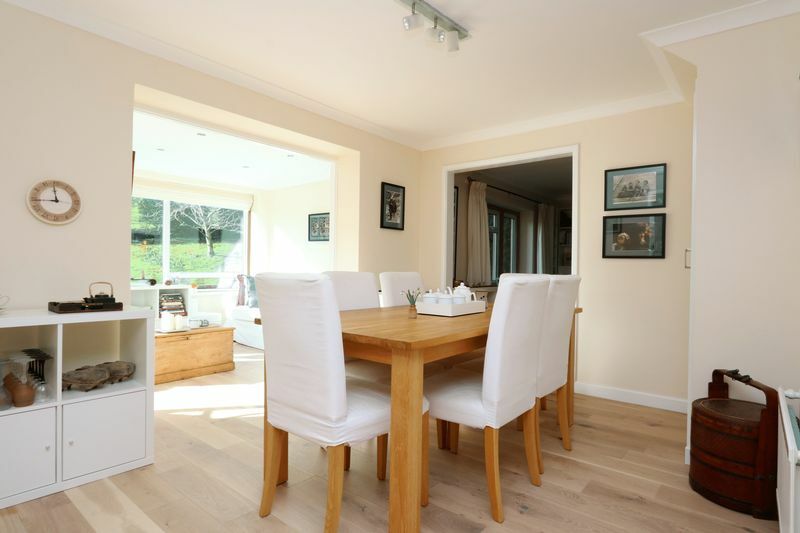 The dining area is of a good size and could accommodate a large dining table and chairs for those extended family gatherings. 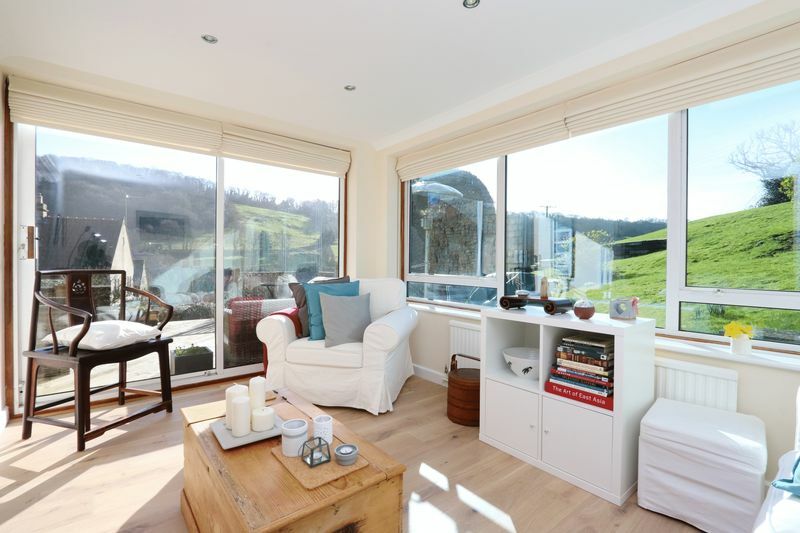 The sun room is an absolute delight with large dual aspect windows providing stunning views of the surrounding gardens and countryside and sliding glazed doors providing access to the decked garden seating area. Through the dining room you have access to the comfort of the large lounge, again with dual aspect windows and feature Bath stone fireplace. 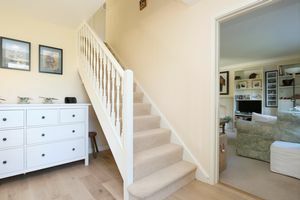 The first floor landing provides access to all bedrooms, bathroom and loft which has a loft ladder, is partially boarded and deep insulated. 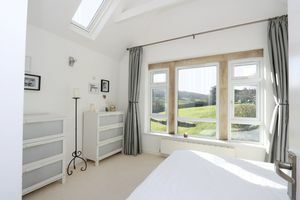 The feature bedroom here is bedroom two which is situated to the rear aspect providing glorious countryside views through stone mullion windows. 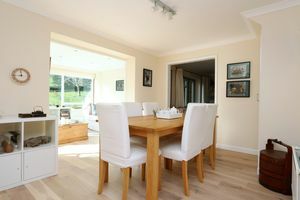 Again a vaulted ceiling provides a real sense of space and the Velux window lets the light flood into the room. 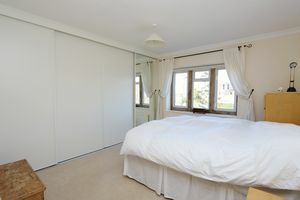 The master bedroom is a very good size and provides built-in wardrobes. Bedroom three is a good size double room with bedroom four being a single in size and currently used as a study with lovely views across the garden and beyond. Externally to the side aspect of the property is a decked seating area which can be accessed from the sun room and makes a great spot for entertaining during those summer evenings. 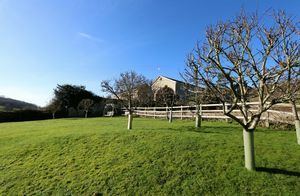 The extensive gardens provide established shrubs, beds and fruit trees with a veritable small orchard of pear, apple, cherry and plum trees in stock. 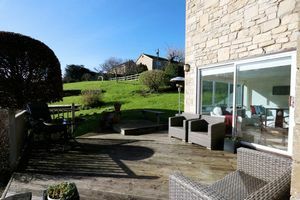 The rolling and landscaped lawns extend to a seating area in the far corner which provides the most lovely and tranquil views of the surrounding valley and countryside. To the front of the property is a garage, car-port and two further off-street parking spaces. 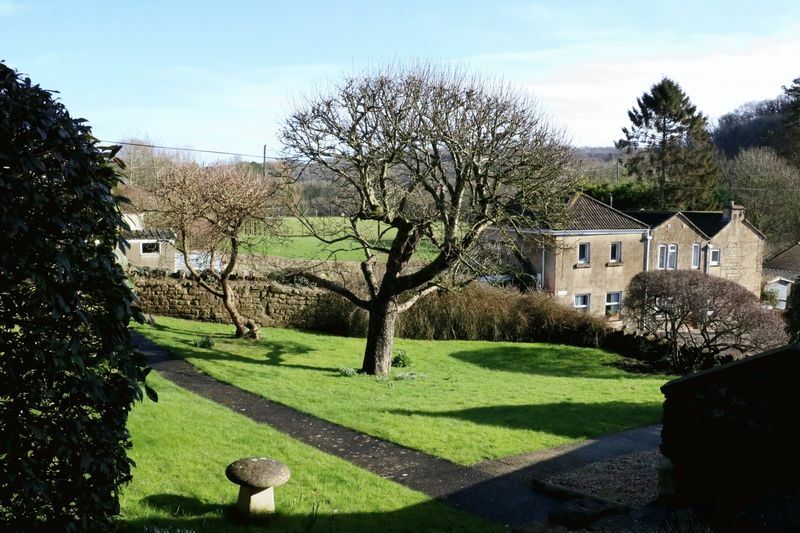 This charming home is situated in an elevated location in Mill Lane in the middle of Monkton Combe village. 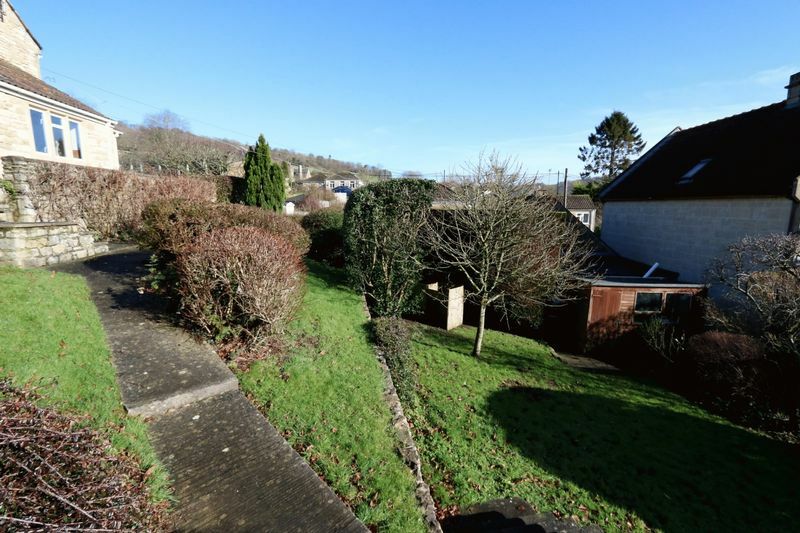 With a large south westerly facing garden where you can marvel at the wide ranging panoramic views across the woodland covered valley. 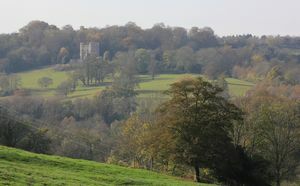 The village lies approximately 3 miles to the south of the city of Bath and less than 1 mile to Combe Down and all its amenities and every level of schooling. 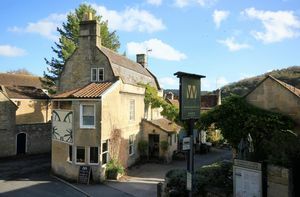 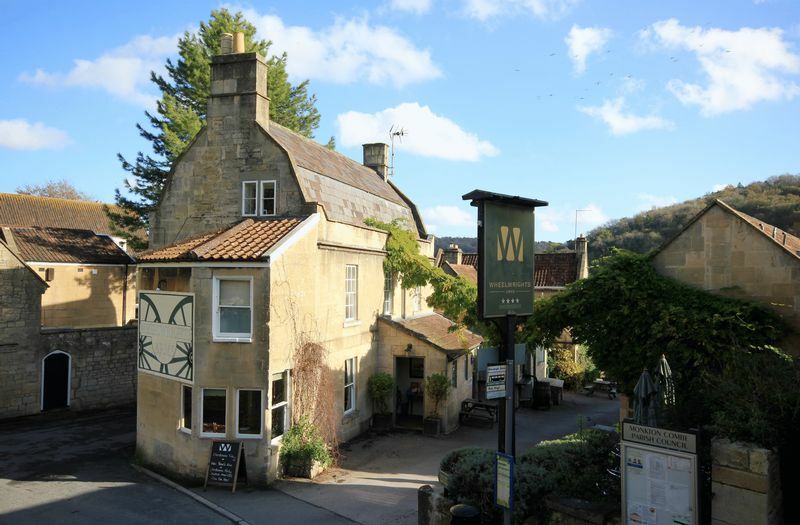 Within the village is the acclaimed gastro pub/restaurant, The Wheelwrights Arms and the highly regarded Monkton Combe senior school. 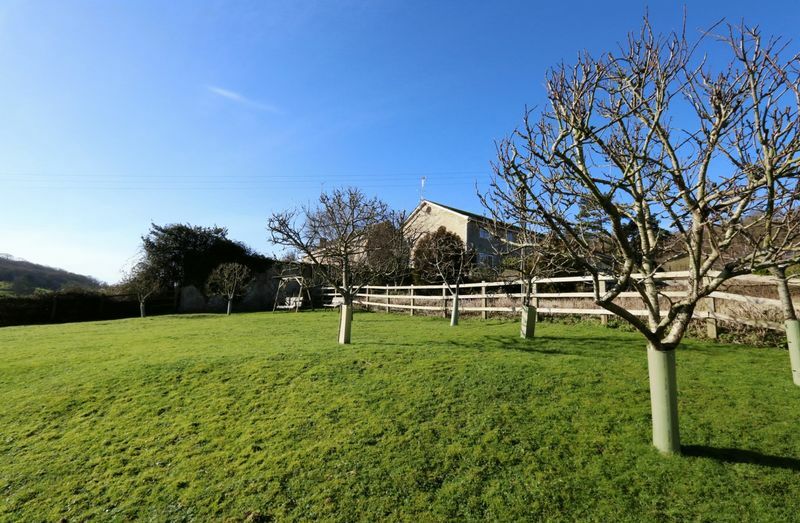 Nearby you will also find the excellent country club, Combe Grove Manor, which provides hotel with fine dining, gymnasium, swimming facilities, golf range and tennis courts. A countryside walk away is the Kennet & Avon canal with cafe and boat/cycle hire available to enjoy the surrounding countryside. 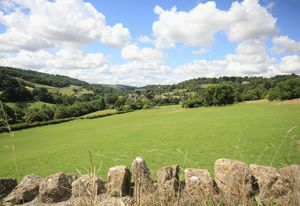 The 94 bus service runs through the village 5 times per day (from Monday to Saturday) and services the route from Trowbridge to the city of Bath. The renowned Victorian church of St.Michael's in the village is the resting place of Harry Patch, the last surviving soldier to have fought in the trenches of World War I. 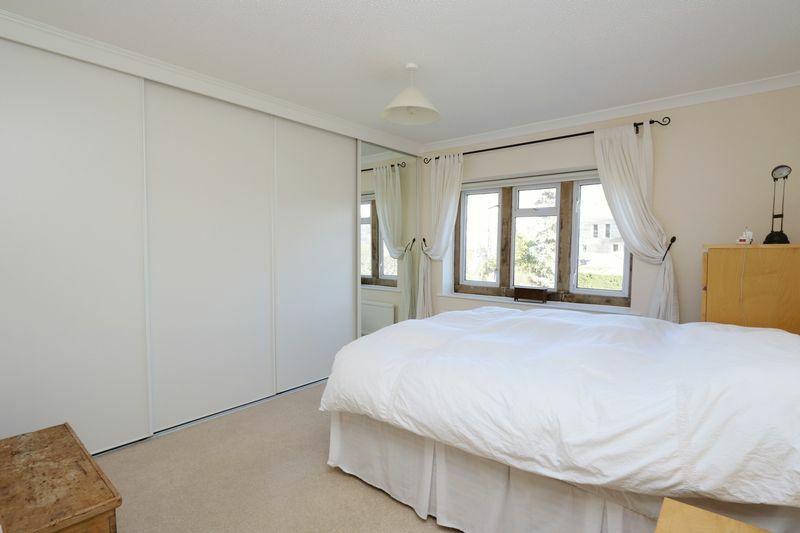 Wooden door to the front aspect, space for coats, further door to entrance hallway. 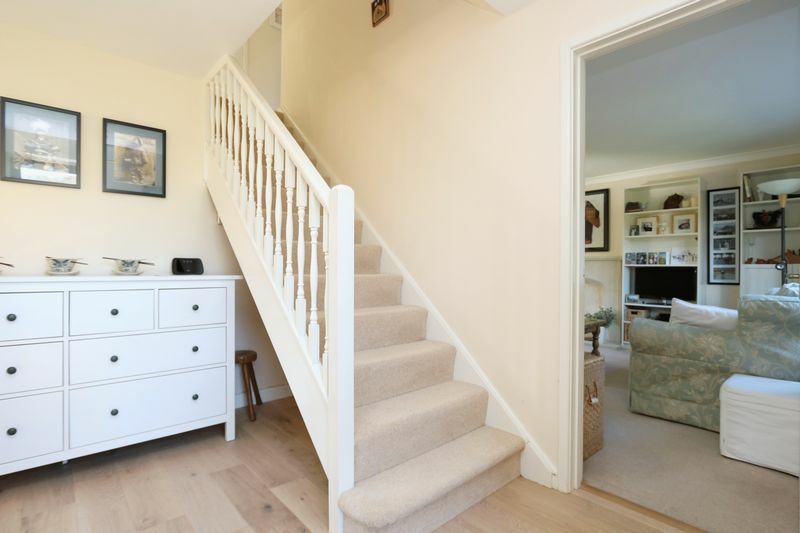 Spacious hallway with solid engineered iced-oak floor boards, radiator, stairs to first floor, open access to kitchen, cloakroom, lounge. 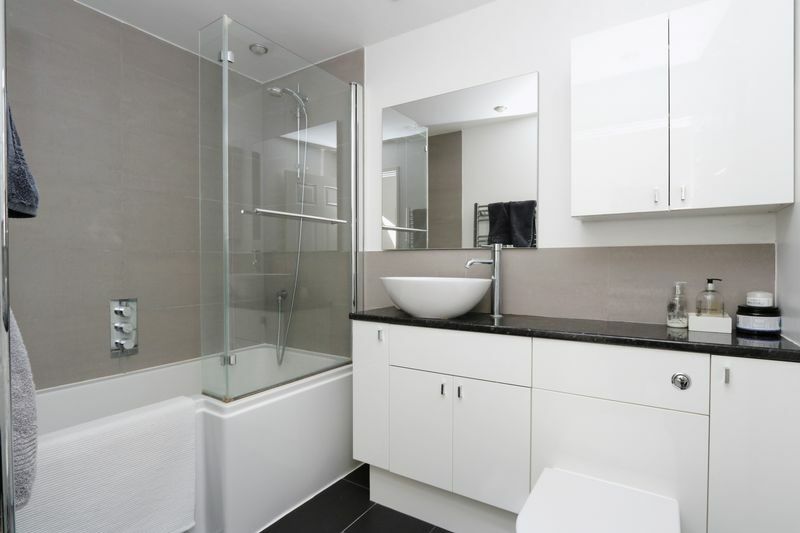 White suite comprising wash hand basin with slate effect tiled splash back, low level w.c, storage cupboard with shutters, radiator, tiled floor. Immaculate quality kitchen with a range of birch wall and base units, solid beech work surfaces with an additional granite work surface, vertical wall mounted modern radiator, integrated Whirlpool electric oven, Zanussi induction hob with stainless steel extractor hood over, newly fitted glass splash back, stone mullion double glazed window to the side aspect overlooking the valley, inset single sink, built in dishwasher, fully tiled splash back, solid beech breakfast seating area positioned to provide views across the valley. 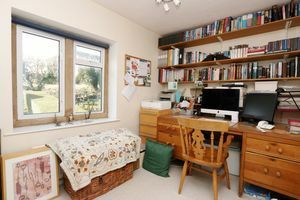 Accessed from the kitchen, space for washing machine, space for dryer, space for fridge freezer, wall to wall work surface, side door providing access to both gardens. 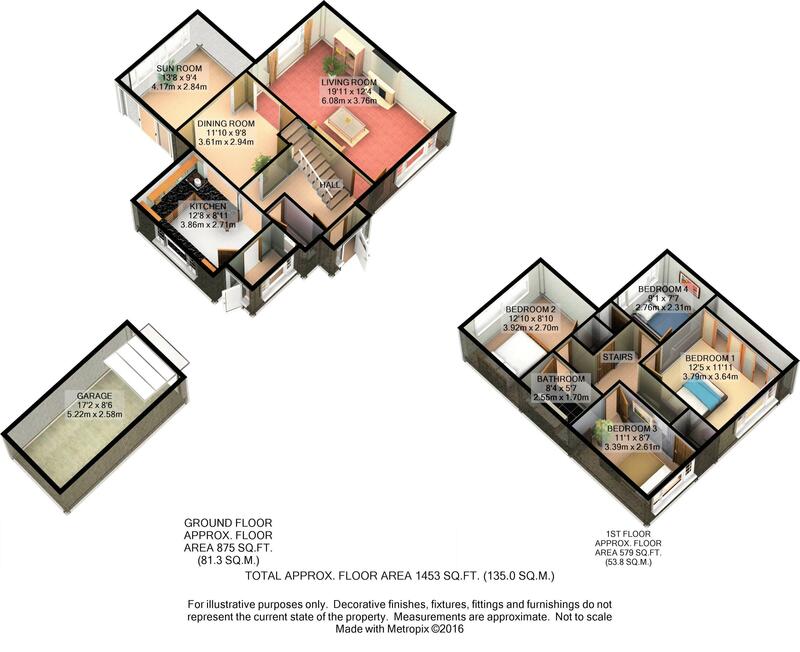 Solid engineered floor throughout, radiator, built in storage cupboard, open access to the sun room and lounge. 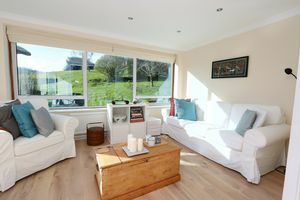 Magnificent views from the dual aspect sun room across to the rear garden and valley beyond, double glazed windows with UV filter and full length patio doors opening on to the raised decked seating area, solid iced-oak engineered floor throughout, spot lights, radiator.. Double glazed Stone mullion window to the front and rear aspects overlooking both gardens, coving, Bath stone fire place with Bath stone hearth, television point, neutral carpet. 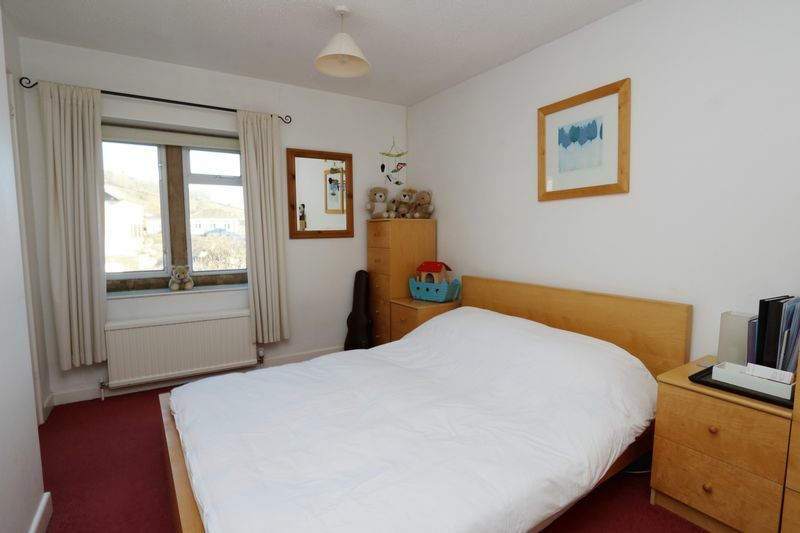 Neutral carpet throughout, door to four good sized bedrooms, family bathroom, airing cupboard and loft access with pull down ladder. 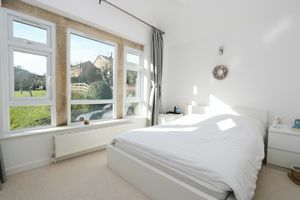 Stone mullion double glazed window to front aspect, neutral carpet, wall to wall storage wardrobes, wall mounted radiator. 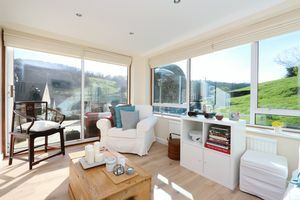 Magnificent and uninterrupted views through the large double glazed stone mullion window, neutral carpet throughout, radiator, spot lights with dimmer switch, beams to the ceiling, Velux window providing further natural light. Stone mullion double glazed window to front aspect, radiator, large built-in wardrobe, carpeted. 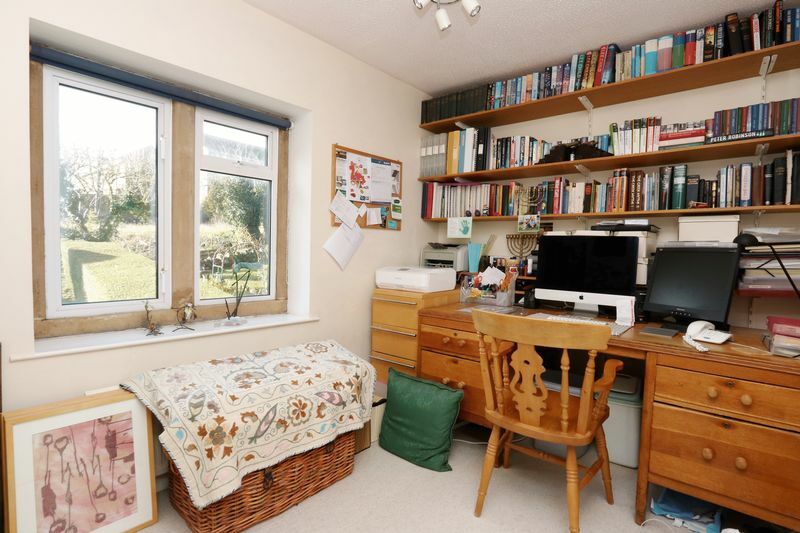 Currently used as a study, stone mullion double glazed window to rear aspect overlooking garden, carpet, in built wardrobe with hanging rail, telephone point, storage shelves. 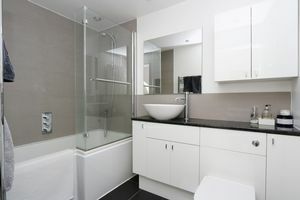 Immaculate family bathroom, tiled to the floor with under floor heating, white bathroom suite comprising deep bath with mains shower with a glass shower screen, low level w.c with soft flush control, raised oval ceramic wash hand basin with inbuilt storage under, fixed wall cupboard with shaver point, spot lights throughout, extractor fan. Level garden laid to lawn with steps up to the front of the property, mature Mulberry and Apple fruit trees with some borders shrubs, enclosed with bath stone wall, garden paths through the garden to the front and side gates, access to the garage, car port and further parking spaces, gradual steps to the side garden with access to the garden shed. 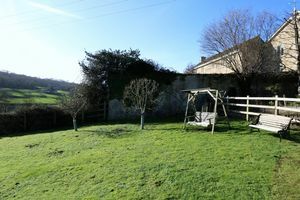 Tiered garden with 180 degree views up and down the valley, laid to lawn with wooden sleepers at various levels, several small mature trees which include pear apple plum and cherry trees and mature shrubs, border hedgerow and fencing to the side and rear of the garden, access to the raised decked seating area. 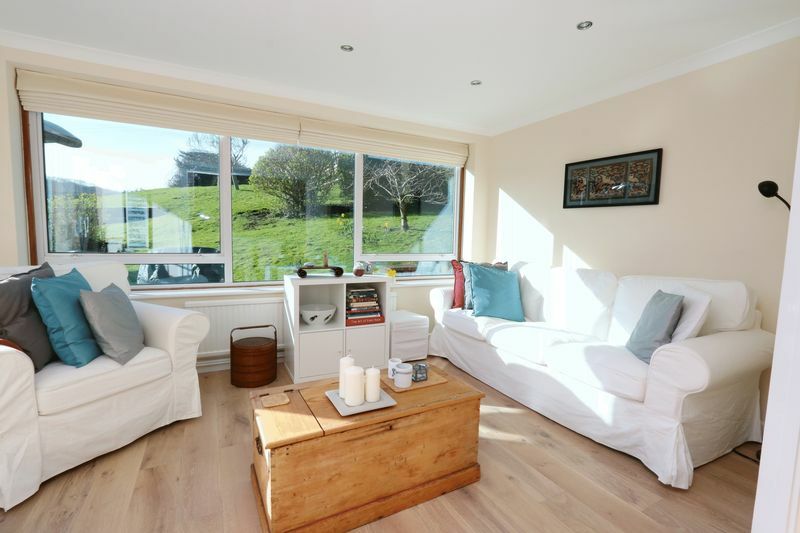 This property comes with parking for three cars and includes garage, car port plus a dedicated parking space. 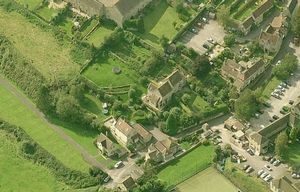 The parking at the front to the side aspect. 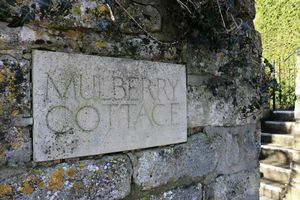 You will have to pay £27,500.00 in stamp duty. 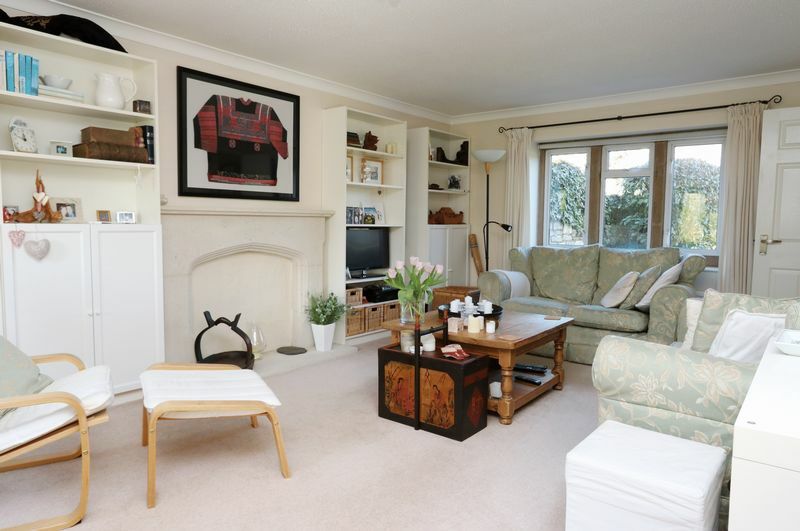 Your effective stamp duty rate is 3.67%.